SEOUL -- Hyundai Motor workers in South Korea have stopped building the Kona SUV this week ahead of a U.S. launch - a protest against what the automaker's labor union says are plans to trim assembly line headcount. 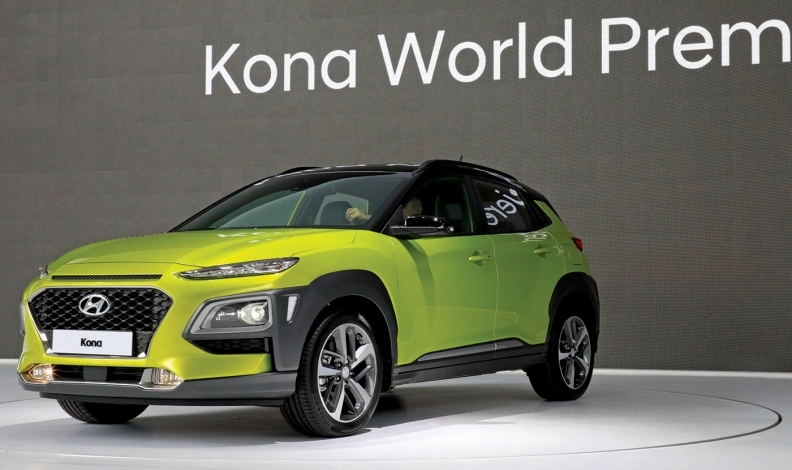 Hyundai has been in discussions with its labor union since October on production plans for the Kona, a key model that it hopes will reverse a U.S. sales slump. The union contends that the automaker wants to introduce more automation and outsource more assembly of key sections to part makers - plans that it is vehemently opposed to. Hyundai management argues that the union is making "irrelevant demands" such as requests for extra windows in the factory as part of the production discussions. Hyundai's global sales fell 6 percent from January to September compared with the same period a year earlier, as a lack of SUV models hit sales in the U.S. market and a diplomatic row between Seoul and Beijing hurt sales in China.